Aviation Updates Philippines - Four new destinations – Bacolod, Tagbilaran, Cagayan de Oro and Virac – have been added to the Philippine Airlines (PAL) route network this mid-December out of the airline’s hub at Clark International Airport in Pampanga. EXPANSION OF CLARK HUB. PAL Express has launched four new destinations from Clark. Clark-Bacolod, Clark-Tagbilaran, Clark-Cagayan de Oro, and Clark-Virac flights were launched this month. Photo by Dirk Salcedo PPSG/AUP. The inauguration of these new routes marks a significant investment by the flag carrier in the development of Clark International Airport as a major airline gateway. PAL’s Clark hub now provides passengers from central and northern Luzon direct access to a total of 13 domestic points as well as to Seoul, South Korea. PAL opened a four times weekly service to Bacolod and daily flights to Tagbilaran in Bohol. PR859 (Clark-Bacolod) leaves Clark International Airport at 7:00 AM every Monday, Wednesday, Friday and Sunday. PR860 (Bacolod-Clark) departs Bacolod at 8:45 AM. PR2871 (Clark-Tagbilaran) leaves Clark at 3:00 PM everyday. The Tagbilaran-Clark is operated in the morning, departing Bohol 6:40 AM, landing at Clark 8:00 AM. On December 16, a three times weekly service to Cagayan de Oro (PR833) will begin, leaving Clark every Tuesday, Thursday and Saturday at 6:00 AM. The return flight (PR834) departs 8:20 AM from Laguindingan International Airport serving Cagayan de Oro. PAL will use the 199-seater Airbus A321 on the flights to Bacolod and Cagayan de Oro, and the 156-seater A320 to Tagbilaran. On December 18, PAL will mount three times weekly flights to Virac, capital of the island province of Catanduanes, leaving Clark Mondays, Wednesdays and Fridays at 6:00 AM. 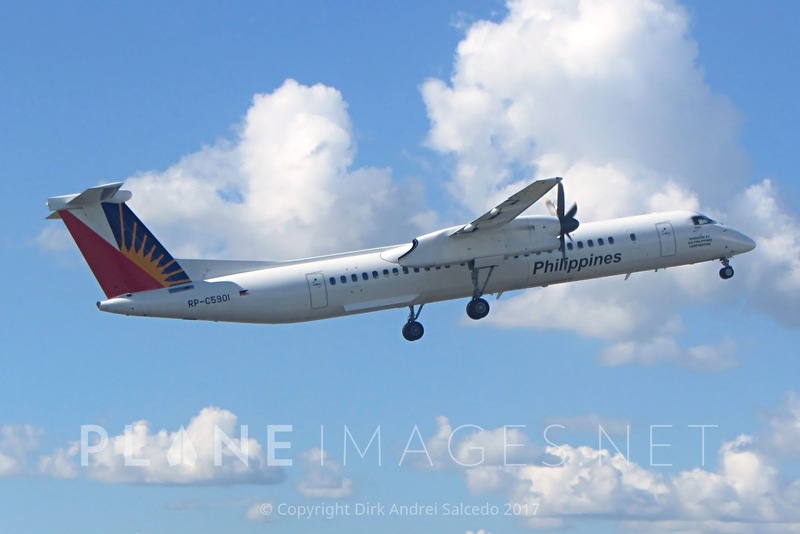 The Bombardier Q400 will be used on the Clark-Virac-Clark route. On top of the four new routes, PAL flies to nine domestic destinations out of Clark: Basco, Busuanga, Calbayog, Catarman, Caticlan, Cebu, Davao, Masbate and Puerto Princesa. Early next year, Naga will be added to the list. The airline is evaluating the possibility of operating more new routes from Clark in due course. PAL’s build-up of operations at Clark, as well as in Cebu, Davao and recently Tagbilaran, aims to significantly enhance travel convenience and connectivity for Philippine domestic travelers, while also serving to decongest the Ninoy Aquino International Airport in Manila. PAL is adding new routes, expanding its fleet and innovating its products and services in its bid to become a certified four-star airline by next year.